We're in the midst of a digitally-fueled gravel grinding renaissance these days. Riders go out and do big rides, track them, post the rides online and then invite like-minded fools to come join the madness via email and Facebook. One of the most prolific duos in this scene is OMTM. The acronym stands for “Our Mother The Mountain.” If you’re into music, maybe you’re saying to yourself - “Isn’t that a Townes Van Zandt album from 1969?” Yeah, but it’s also Ron Lewis and Brandon Day’s project dedicated to finding and sharing rad gravel cycling routes. I met these gregarious grinders on last year’s stampede ride. They’re two hearty souls that love the bike and want you to ride more and more interesting gravel routes on the weekend. If you’re gravel curious and up for challenging 50 to 75 mile rides then you should come check out one of their invitational rides. They have also teamed up with Unpaved (Ryan Francesconi) to create a series of rides That have included events like the “Timber Logjam” and “Falls Creek Hinterland” We recently joined them for their excellent “Mosier Mayhem” ride. 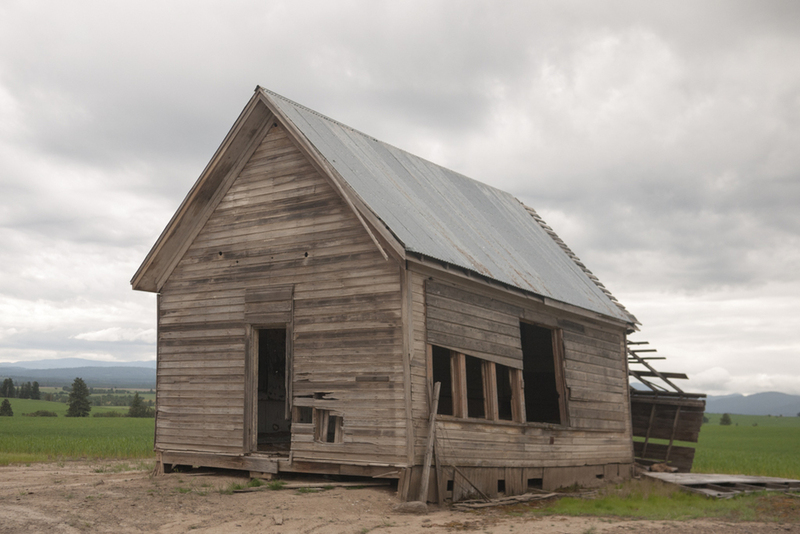 There must have been a good fifty folks that tackled either a 47 or 77 mile route that started and finished in Mosier. The event included a whiskey treasure hunt, post-ride swim, and group camping afterwards. Don’t like group or weekend events? Well, you can download one of their routes and go explore on your own time. Ron and Brandon are both busy music industry guys, but they were kind enough to answer a few questions so we can get to know them a bit better. How did OMTM come about? Our Mother the Mountain was hatched out of the idea of wanting to share our routing discoveries and provide a reliable resource for gravel/adventure riding in the region. We were both inspired by Velodirt and the community surrounding the ride events and the general spirit of that type of riding. We were already riding, exploring and looking for better ways to connect a lot of the roads we loved into longer, better and more challenging routes and at the same time loosely wishing there was some sort of common place to catalog and share this information. When Ride w/ GPS announced their ambassador program, we felt like it was a perfect platform to test out the idea. We were already using Ride w/ GPS as our primary mapping tool, so it made sense. What is your goal with OMTM? Our goal is to empower others to get out and explore. Not knowing where to ride can be really intimidating. 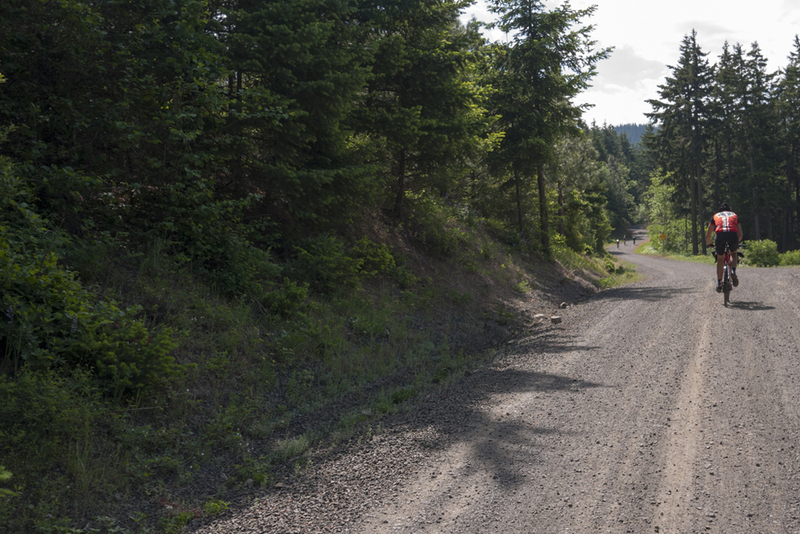 The sheer amount of unknowns in gravel and backcountry riding can be a daunting proposition and tend to act as a deterrent. Our goal is to try to remove some of those obstacles and take a bit of the guesswork out of some of these areas by providing as much good information as we can. Overall we'd like people to feel inspired to get out, ride their bikes and have better and more fulfilling riding experiences! It is obviously always a work in progress. We've always got way more routes and ideas on deck than we can logistically get to, but we do have a ton of good ones in the works for this year: Rainier, Hart's Pass/Slate Peak in the North Cascades, some good stuff out of Philomath and Tillamook in the coast range, some deep Mill Creek stuff out of the Dalles. How did you come to cycling? …to gravel riding? Brandon's background is in riding dirt bikes and mountain biking all over the Coast Range and Central Oregon. I got the mountain biking bug in the mid 90's living in Missoula, MT. Coincidentally we both transitioned to road riding and then cyclocross within the past five years, racing road and CX for a couple of seasons before realizing we were having way more fun doing long exploratory days in the woods rather than racing. The sheer amount of new terrain CX bikes unlocked was incredible. Now with ever more all-road specific designs available, the range of possibilities has expanded beyond just gravel and is crossing over into terrain previously assumed to be solely the domain of mountain bikes. What's your process? What do you look for in a route? It usually starts with a general curiosity about a particular area. Usually something as simple as 'Oh, this could be cool'...mapping out a few different versions of an idea then getting out there to see what actually happens. Sometimes you can just tell that a road is going to be interesting when it has a snaky, winding map view with plenty of hairpin turns. But sometimes roads just either aren't there or have been overgrown or decommissioned, so it's a lot of trial and error. Some routes just work out perfectly the first time, as is the case w/ Metolius: Green Ridge + Wizard Falls...but more often than not, it takes getting out and trying something in a few different configurations before that best way is revealed. 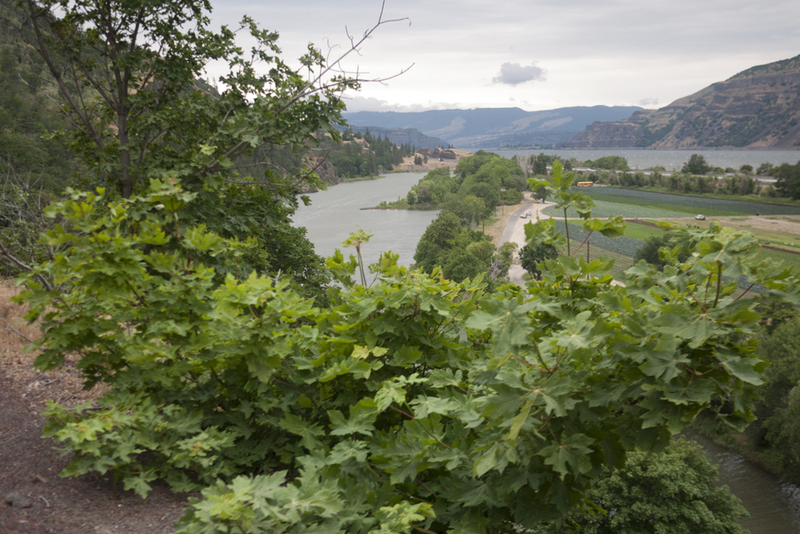 The stuff around Mosier can be a tough nut to crack because it encompasses such a vast spectrum of terrain: State Park, private property, open range, National Forest, logging roads etc...there is also such a wide range of seasonality to factor in. For example we were turned around on three separate occasions by snow when we were feeling out the Mosier Mayhem route. Ideally we like routes that are challenging with plenty of aesthetic payoff. 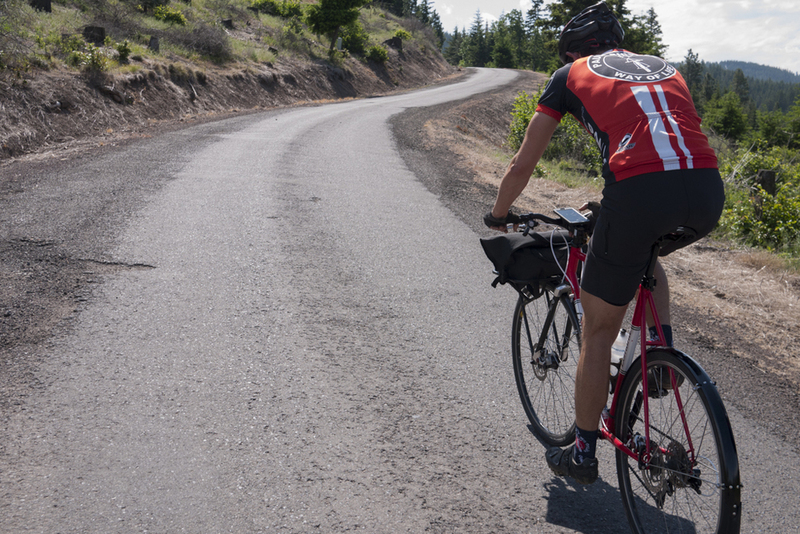 We tend to like a healthy amount of climbing, so they generally fall into the ratio of 1000 feet for every 10 miles. We feel like diversity of terrain, flow and pacing are important to the overall experience. The best part about cycling is its simplicity. It can be whatever you want it to be: simple transportation, utilitarian commuting, means for fitness or competition. On another level it can be a transformative element, a mode of self-expression and means of escape. I do feel like there is an inherent creativity to cycling culture. At the core bicycles are simple machines that exist in the cross section of engineering and design, but what they enable can be a quite a bit more connective and liberating. I would say cycling is certainly a creative enabler. We use Garmin Touring + iphone6. The iPhone is great because a lot of folks already have one. Ride w/ GPS and Gaia GPS have great apps w/ offline mapping, which is key in areas with little to no signal. However, unless you bar mount - you have to reach into your pocket every time you have a routing question. Also, running GPS (and checking often) can kill your battery pretty quickly. So we reserve this method as a backup. The Garmin is great because you have turn-by-turn guidance and avoid running off course. The battery life is also pretty great (you can get around 10-12 hours out of a charge). It's been a solid companion on backcountry routes - especially on exploratory rides when re-routing becomes necessary (due to bum roads, unexpected snow, bridge washouts, etc). By "breadcrumbing" your route - you can get a good birds-eye view of where you've been and what other roads are out there. 7. Do you have favorite routes in the area? Some of the areas that keep us coming back are routes involving Barlow up on Mount Hood. There are so many great ways to configure that area. It's fantastic and challenging in both directions, as a climb or descent. 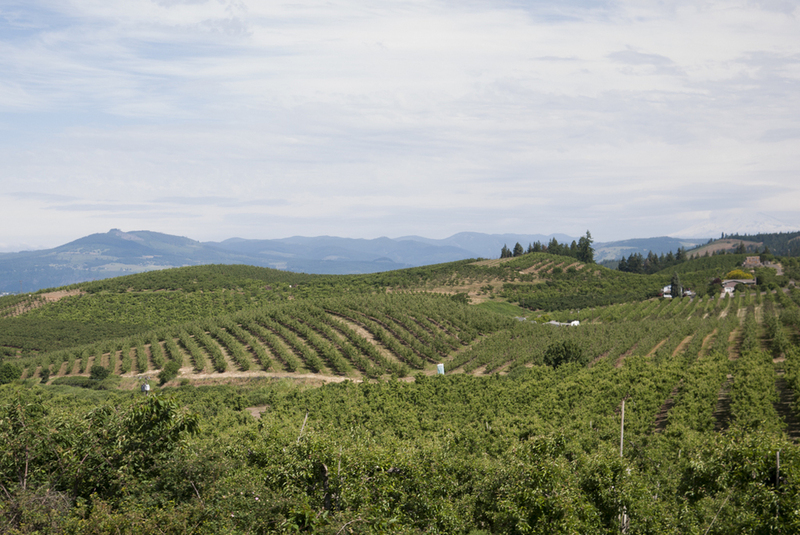 Barlow is accessible from a variety of starting points like Zig-Zag/Rhododendron or Hood River. Barlow is just an interesting way to connect a lot of really diverse zones up there. The Gifford Pinchot area has been a favorite lately as well. The fact that it is a National Forest rather than timber land gives is a different, much more gentile, protected quality. In a heavily logged region the Gifford is refreshingly pristine w/ a lot of old growth forest. The Falls Creek Hinterland route that Ryan Francensconi put together is kind of exemplary. It's got gentle climbs, meandering forest roads, amazing views, lava caves, waterfalls and plenty of singetrack to break things up. The Buxton Bacona Bonanza is also one we end up coming back to because it's close and it's beautiful and only hard as you make it! Starting out by climbing Otto Miller is always a treat, but then Smoke Ranch and Pumpkin Ridge are such dream roads...everything else is just icing on top. Bacona is kind of an interesting road, kind of like stepping back in time a bit. In our hyperconnected world, the idea of solitude or being alone with oneself is something that is increasingly rare and actually frightening to a lot of people. We like to think of it as somewhat of a reset...an opportunity for a bit of self-reflection and experiencing a very real sense of place. This is not to say you have to necessarily be 'alone'... but the idea of regularly separating yourself from man-made environments feels pretty necessary. Do you still find solitude in the group ride experience or does the group ride combat solitude? In a non-competitive setting, like the group ride events, you can certainly find solitude and connectivity in the shared experience. From the way you tend to get inside your own head on difficult climbs and the way you notice odd little details to the shifting micro-climates that come in quick succession between ridges and valleys...the full spectrum of highs and lows over the course of a long day, kind of all feeds into the same idea. How is music important in this? Can you share a Mosier Mayhem playlist? We both work in the music industry as an A&R manager and music supervisor respectively, so it's kind of part of our personal and professional DNA. It's just something we like to attribute to each route...kind of sets a nice complimentary tone. We did put together this 2016 OMTM Vibe-Guide mixtape earlier this spring.